Sculptures are one of the most truest and magnificent forms of art. 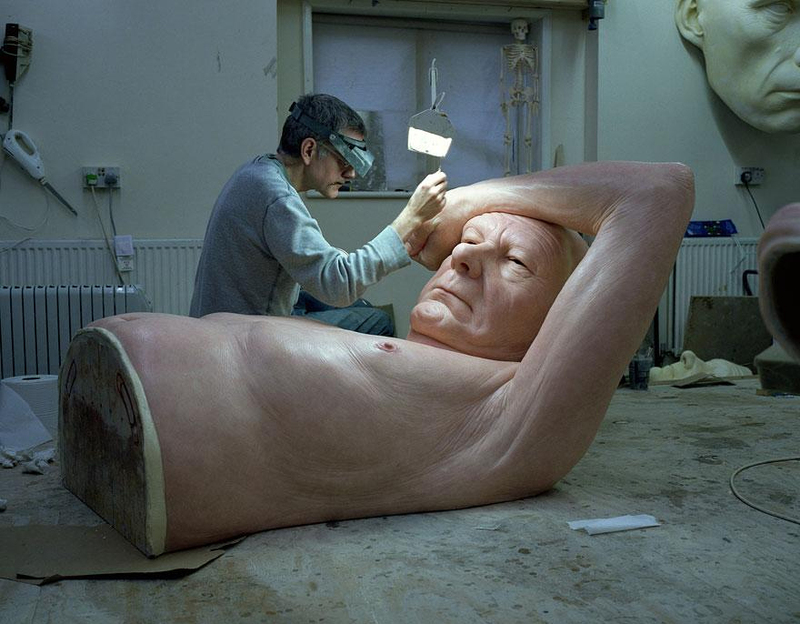 A sculpture defines the mettle of an artist and is very detailed. Michelangelo’s David, made in the Renaissance era is still considered as one of the best sculptures ever. A sculptor, in my opinion, is the most elite of the artists. 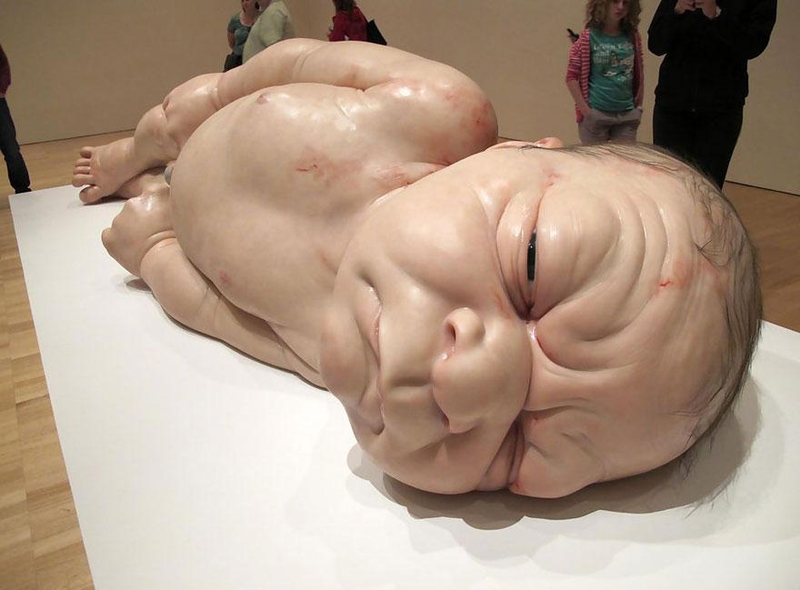 The modern times have also seen some great sculptors, with their breath taking work mesmerizing viewers worldwide. 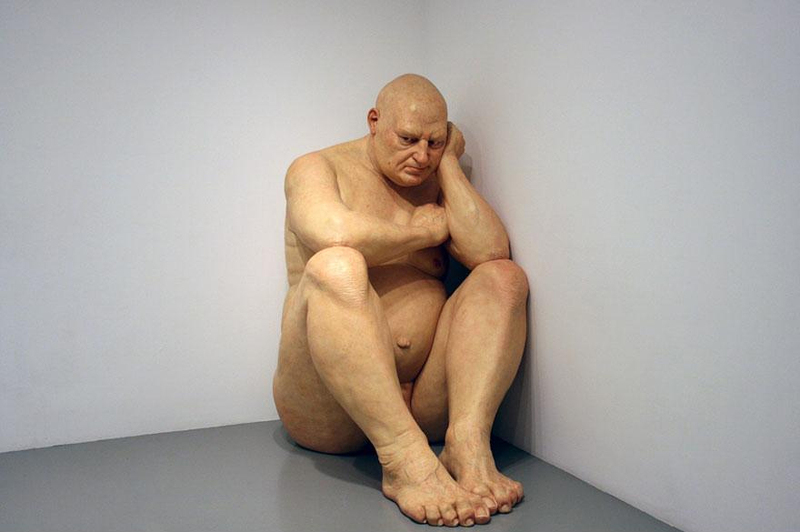 One such artist is Ron Mueck. 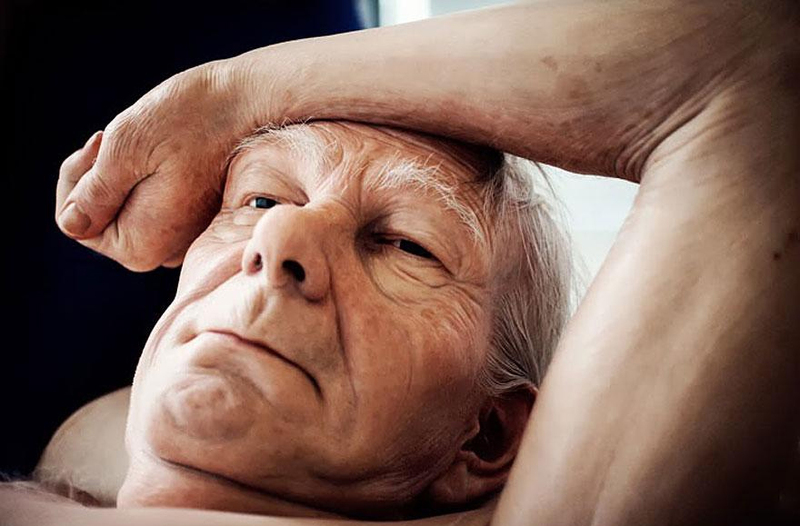 Mueck presented his hyper realistic human sculptures three years ago, and now, he is back with three new, absolutely amazing sculptures. Titled “Young Couple”, “Woman with Shopping Bags” and “Couple under an Umbrella”, these sculptures are so close to real life that it is extremely difficult to differentiate. 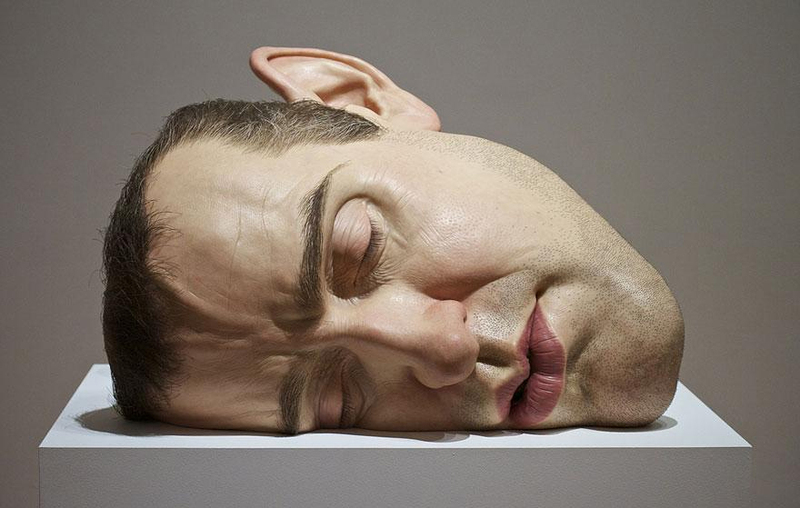 The beauty of Mueck’s work lies in attention to details. 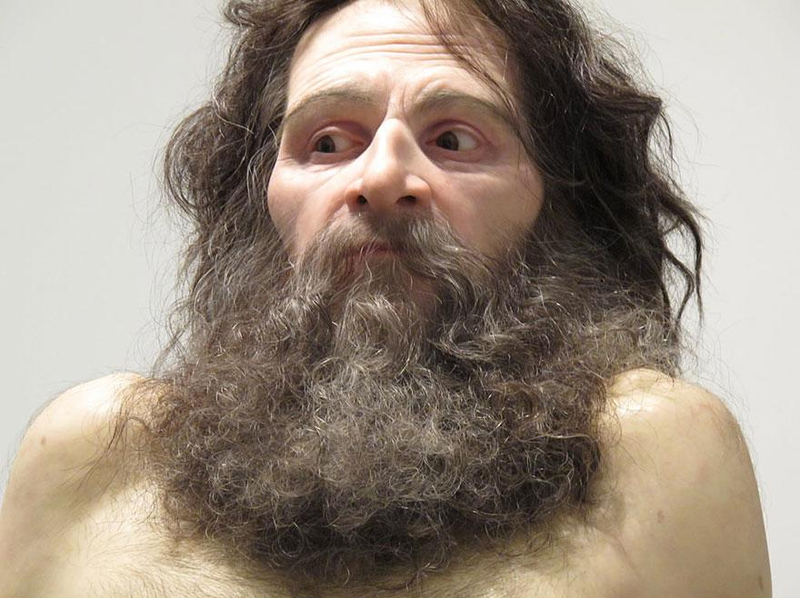 The sculptures are complete with all facial and physical features, including hair, skin pores and even veins! Another thing about his work is that his sculptures are always larger than the size of average people; giving an extra dominating impact. 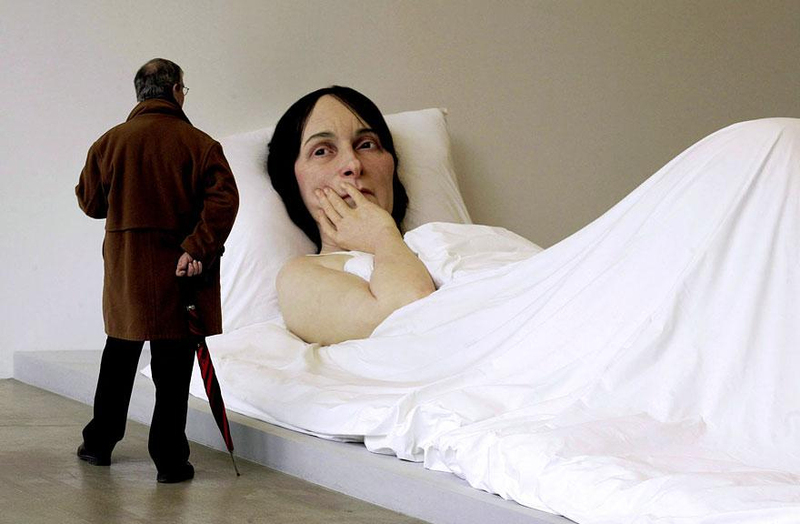 Mueck is not very verbal about his work and hardly ever gives interviews. 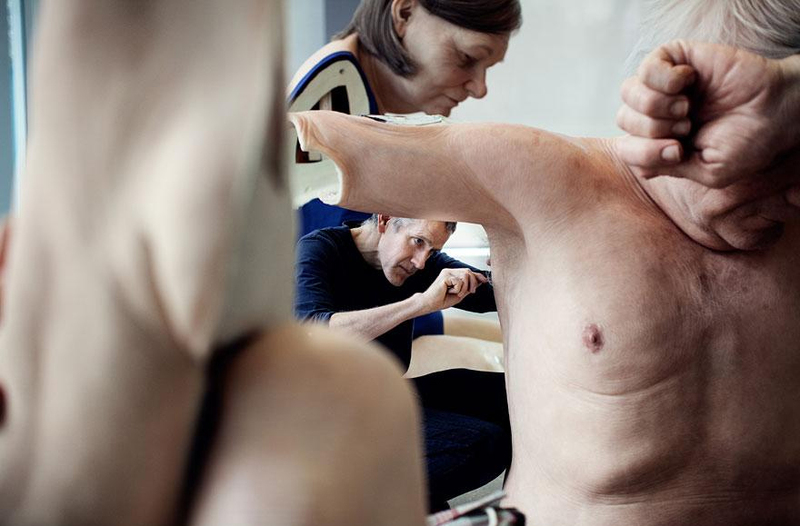 However, on this one occasion, he allowed photographer Gautier Deblonde to shoot a 52 minute documentary inside his studio. 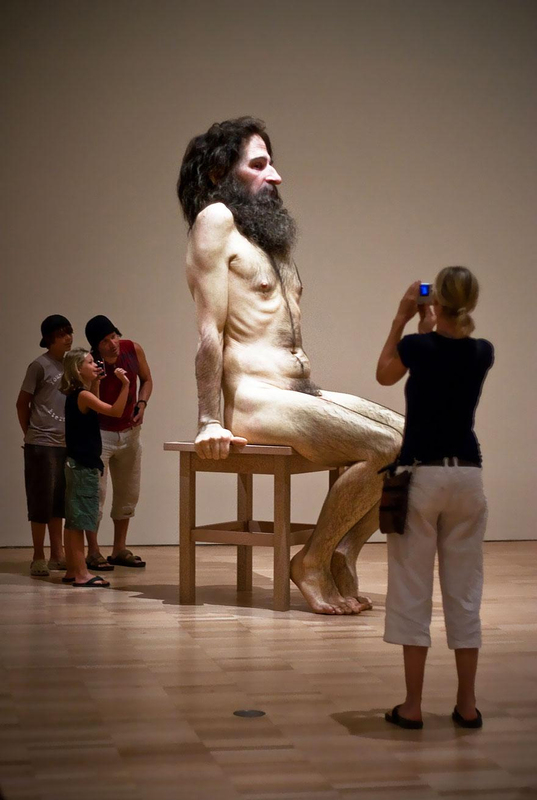 Mueck’s dedication to his work is remarkable. 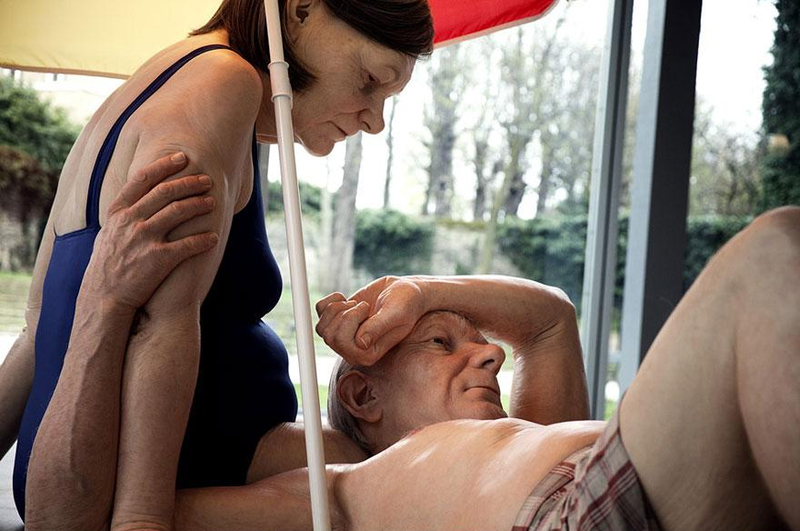 The sculpture “Couple under an Umbrella” shows an elderly couple enjoying an umbrella’s shade, with the man lying down with his head on his wife’s lap; and the wife looking down lovingly at him. The sculpture is so near to life that had it not been for the size, anyone could have mistaken it for a real life couple. 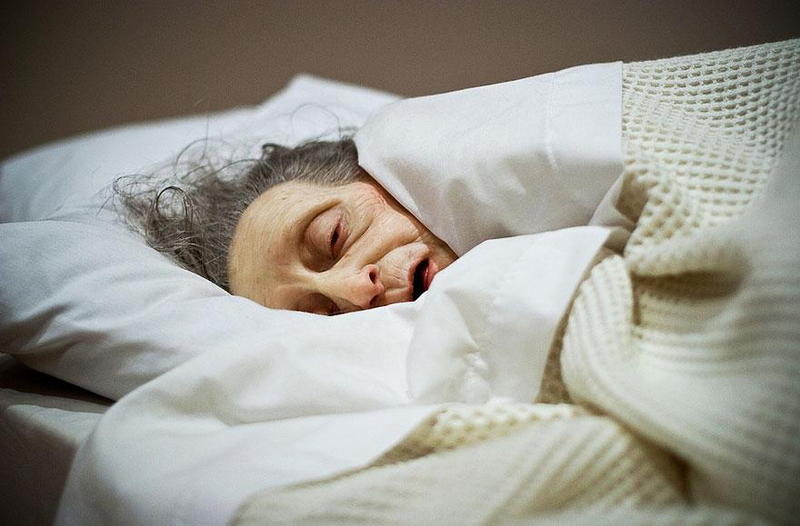 Mueck’s work goes on exposition in Paris, at the “Foundation Cartier” through September 29. This will be a grand show in which people would be honored to witness the work of a highly dedicated and master sculptor.